The Heads of Bill were announced on the abortion legislation that has been 2 decades coming, and as that legislation is only a start on the need for abortion access in this country, we are focusing on one Fine Gael TD a day, telling them in every medium we have available that women in Ireland need abortion legislation and need to it address real concerns, real needs. We aim to make it very clear to them while they make decisions on the Heads of Bill and vote this and next week that the constituencies and country they come from want legal abortion and the legislation that makes that possible. Below we have sample tweets, posts, emails, and messages you can send and clinic hours where relevant. (And check out the past days of the *Tell A FG TD* campaign) Join us in sharing your views with the Taoiseach Enda Kenny. We want Enda Kenny to take a long hard look at how women have been and continued to be treated by the Irish state and to support legislation that provides the services needed by the people he serves. 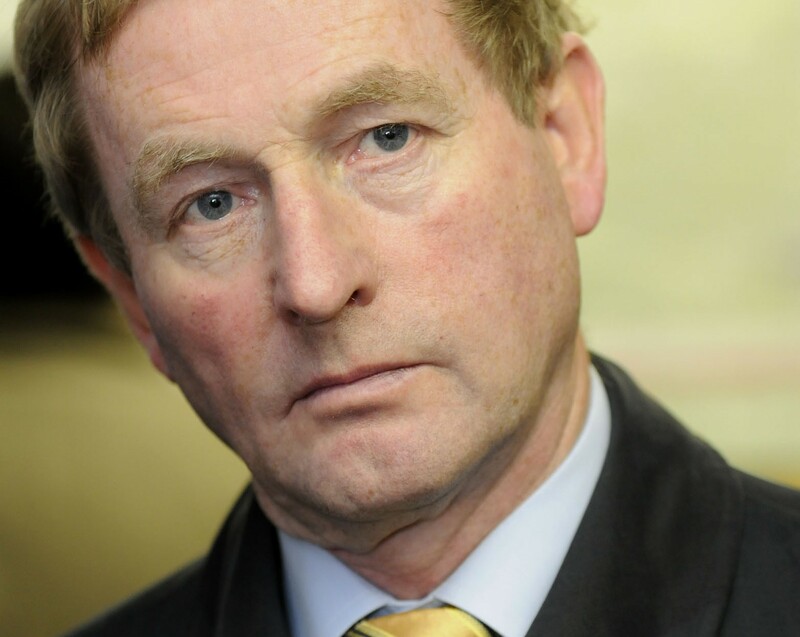 As a member of Fine Gael and Taoiseach, Enda Kenny has made few public statements about abortion and the legislation proceedings ahead. He did respond to insinuations of excommunication from Catholic officials by declaring that his “book is the Constitution” and that their is a duty to clarify abortion legislation. We are happy to see the strong line he draws between church and government and understanding of the responsibility to legislated, and now call on him to understand how the current legislation does not go far enough to protect the lives of women. Enda Kenny needs to know from the people he serves just how important real, powerful legislation for abortion is. As this week has gone on, we focused on Fine Gael TDs from different areas, with different views but our main message was the same: We want legislation for abortion, legislation that provides for the health and rights of women without jumping through hoops and proving we really need procedures. Women’s lives do not need political balance; women need the best medical attention when they need it, how they need it. And we want Enda Kenny to support the passing of less restrictive legislation than what has been proposed. We want real abortion access. Join as we all make the strong pro-choice voice in Ireland heard. Below we have included contact details with an example message for each mode of communication. 3. By phone: 01-6194020 in Leinster House, 094-9025600 in constituency office. Example Message: I am ringing the Taoiseach to let him know that access to abortion in Ireland is important to me. I want the rights and health of women respected. I want abortion in Ireland, and I call on Mr. Kenny to support legislation that provides for the health of women in the country without bureaucracy and complicated contingencies. We want legislation that does not balance political view points, but provides everything needed to the women seeking healthcare. I am writing to inform you that access to abortion in Ireland is important to me. I want the rights and health of women respected; I want abortion in Ireland. I agree with strong stance on the responsibility of government to the people to legislate. We need this legislation to provide not just clarity but real access, real healthcare without threat of legal action or trial by panel. This isn’t politics; this is about representing and providing health for your country and constituents, so I call on you to hear the thousands upon thousands of men and women who want legislation on abortion without bureaucracy and complicated contingencies, to hear the thousands of women who have risked their health and livelihoods to travel, and to enact and support legislation that makes abortion safe and accessible for women in Ireland. Thank you all so much for participating in this campaign, and we encourage you to share your experiences, messages, and resulting responses here or with us on Twitter or Facebook.